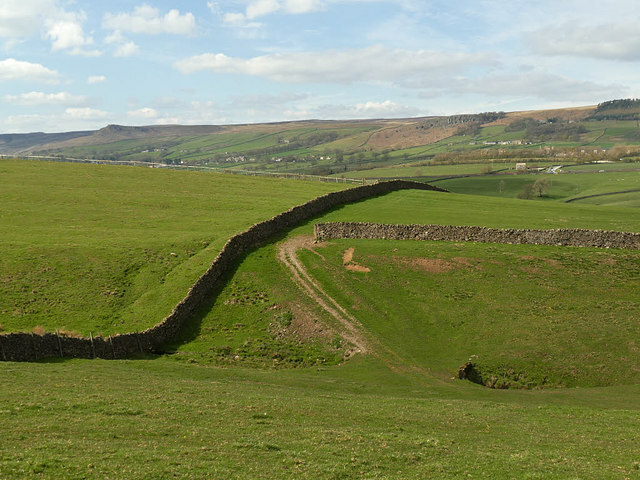 The public footpath to Embsay officially crosses the gill a little further east; we missed the indistinct track and instead took the one shown in this view, which passes through a gap in the wall. I pass this PO frequently. Often, they have a chalkboard outside advertising the goods and services offered within. I thought it quite surreal one day when I saw "Goose eggs and e-top ups" available.